An absence of angularity in the nearly flat horizon of the Everglades accentuates flocks of birds. The low swept landscape fosters life and draws attention to the vegetation rising up out of this hundred mile wide subtropical river. Wild beyond imagining these everglades are necessary for civilization in South Florida. 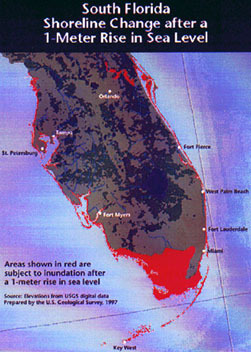 Miami, Fort Lauderdale, and Key West have to drink fresh water and that water was once stored within and underneath the now vastly diminished glades. The river is on the wane, infused with phosphorus, polluted by pesticides, ditched and drained beyond recognition. The symbiosis that persists here is crucial, yet we do not yet think symbiotically. The widest river on earth is damaged. Without the Everglades, freshwater is gone and without sufficient drinkable water, life in south Florida shrinks, population migrates away and only the hardy few will remain. The economic future of over half of the state's population rests on finding sufficient water storage for human consumption, agricultural production and wildlife. The everglades is a barometer of how effective that search for storage facilities will be given rising population pressure. Consumption is rising faster than population and fossil fuels pollute the glades with mercury and nitrogen that threaten the health of children. Water use is both diverting natural flows and wasteful. Excessive use of water causes polluted runoff that smothers the glades in an enriched soup of unseasonable flood and prolonged drought. Ultimately the protection of the hydrological integrity of the bioregion is also a measure of our commitment to a new aspect of ecological conservation that must become the foundation of water resource allocation issues. The everglades may be the litmus test of an emerging water ethic along the tropical coast of Florida. Established as a National Park over fifty years ago, the Everglades remains on the critical list, a patient in need of radical bypass surgery because of pollution and water withdrawals upstream, invasive exotic species, and agricultural reclamation. The rock lime of Florida would be bare and parched without the water as this stretch of land lies beside the salt sea in these desert latitudes. Water and life are wedded among flat table lands where the sea and the river of grass intermingle and intimately exchange nutrients that nourish the wealth of vegetation and animal life. This association of saw grass, cypress and mangrove forests is what had once changed the white limestone rock base of south Florida into the varied hydroponics of this wild profusion of new and decaying life. For over fifty years, Marjory Stoneman Douglas' book entitled, The Everglades: River of Grass, (1947) revealed the ongoing necessity of these extensive and diverse wetlands in Florida's history and life. The daughter of a newspaper publisher and reporter, herself, Marjory Stoneman Douglas became an unerring advocate for these water filled hammocks and marshes for the health of South Florida. 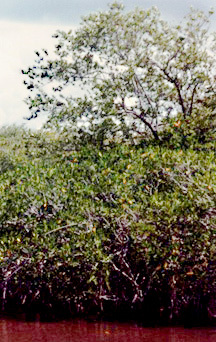 In the part of the book called "Life on the Rock," she suggests that "The saw grass and the water made the Everglades both simple and unique." These wet prairies of grasses, lichens, birds, and reptiles are nothing compared to diverse array of the insects. Douglas here fills these pages with as many species from the sample of everglades creatures as the page is capable of holding. By doing this she demonstrates for the avid reader on paper the number of different species one is capable of finding in these tropical savannas. Numerous plants and animals adapt well to these alternate wet and dry seasons. Becalmed in a desert hot sun the moisture of these glades evaporate to drive the accumulating clouds to burst into the life giving rain. Douglas teaches us about both the function and the wonder of glades wildlife by simply suggesting that "One begins with the plants." By that she directly reveals the important role that plants play in providing human civilization with basic necessities of life. But just as water sustains the plant life so it forms the vital ingredient because water drives "a diversity of life" that has colonized and "lives upon the rock that holds it. "The saw grass in its essential harshness supports little else," she wrote describing acres of sharp bladed tall grass shrouding alligators from view and growing in water amid floating algae or periphyton. Half a century ago, Douglas recognized that the diversity, or richness of species should compel us to save the land for posterity as an example of the biotic wealth of these subtropical climates. She realized the transcendent values associated with these glades. But she also warned about the essential role the water flow played in the economy of South Florida. Because only a fragment of the Everglades and its estuary Florida Bay were protected as a National Park the future of the regions' wildlife remained a problem. Saving large tracts of land to protect ecological associations of plants and animals, was thought to be a necessary initial step in conservation of resources when the glades caught Congress' attention in the late 1930s. It took nearly a decade to actually move from the paper authorization to the creation of the National Park by Congress and President Truman in 1947. During that time significant parcels of high quality landscape and ecologically significant shorelines were removed from inclusion in the 1.2 million acre National Park. These lands included Key Largo, South Biscayne Bay and what is today called the Big Cypress preserve, originally proposed to protect 2.2 million acres. In the race between the sentiment to save ecologically rare vegetational communities and the drive to earn a return on investments three-fourths of the 8.8 million acres of original everglades was lost to the lure of a new gold. This hard currency was waterfront land for housing developments to feed the post war demands and the necessity for agricultural development to feed the growing cities of Miami, Fort Lauderdale and West Palm Beach. With agriculture came an ever increasing thirst for water which peaked in 1990 at over 2.5 billion gallons per day! When Florida's population was still small, Douglas admonished us that "The saw grass and the water made the Everglades." But like any neighborhood, the glades are also the place where numerous creatures live out there entire lives. Others migrate through these extensive grasslands. Once the patrimony of native peoples, the glades today is the center of a fierce fight between conservation and development that tests the American commitment to the environmental restoration of natural habitats. As a natural place Douglas tells us that there is no replacement for the original glades. Not even the Pantanal of South America is the same as the everglades at the south and lower ends of the Kissimmee River and Lake Okeechobee. [Page 170] The glades are also the mother of a series of grassland prairies that once spread all across Florida. There water and calcium rich limestone mingle begetting rich associations that support the birds and mammals that Douglas so well catalogued. She captured the spirit of this place just at the time it was being set aside in the traditional manner of protecting the mouth of this river as a National Park. The limestone that forms the bedrock of this area was formed nearly nine million years ago in a shallow warm sea. Here the land itself is biogenic or formed by living things. The glades' foundation is made of once living sea creatures in whose shells, bones and living tissue the calcium of sea water was strained, concentrated and deposited into fossils. As Douglas reminds us this rock foundation collected debris from the surrounding seas and when the sea level dropped -- due to glaciation -- the glades emerges out of geological time from the sea and the sun 10,000 years ago. On top of the marl and encrusted remains of bryozoans Douglas writes that "In that decay" of vegetation "a wide band of jungle trees sprang up." [P4 Page 171] These are the hardwood hammocks that formed the originally preserved heart of the park: paradise key. Mahogany, varieties of stoppers, gumbo limbo and other tropical hardwoods grow thickly on the humic soil. Because of the very pine trees that colonized the dried sand banks and the cypress that grew up in the wet sinkholes or along lake shores, early Florida pioneers were assured of sturdy building materials that could withstand the humid climate and the rotting vegetation all around them. Over seventy years ago, only the edges of the glades were settled and the technology of road building across a wet swamp had just begun. Built of the sand and the sea, as Zora Neale Hurston, the anthropologist, reminds Floridians, the state is a geological sand bar adrift in a tropical sea peopled by the strangest freight of life this side of the Pantanal in southern Brazil. Broadly speaking the trees of the eastern and western sides of the narrowed peninsula differ with custard apple bottoms to the southwest in contrast to willow & elder bottoms to the southeast. These stands have been severely eroded due to the spread of invasive exotic trees, principally the Australian Maleleuca and the South American, Brasilian Pepper. 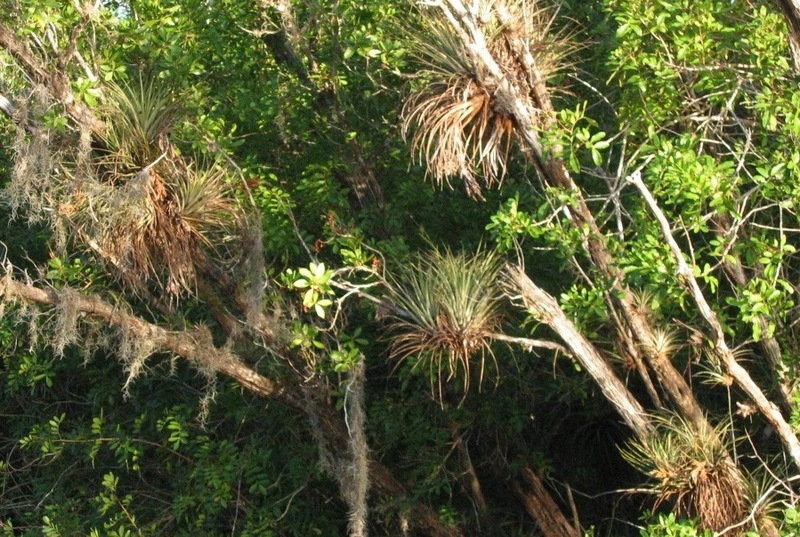 These ornamental trees have contributed to a simplification of the everglade's vegetation. Today the "the enormous darkness without light of the saw-grass river." Described by Douglas, is threatened from introduced exotic plants that have escaped cultivation, and crowded out native trees. [P8] Here, the four thousand year old association of plant communities that defied human trespass until the late 1920s, is being overtaken. 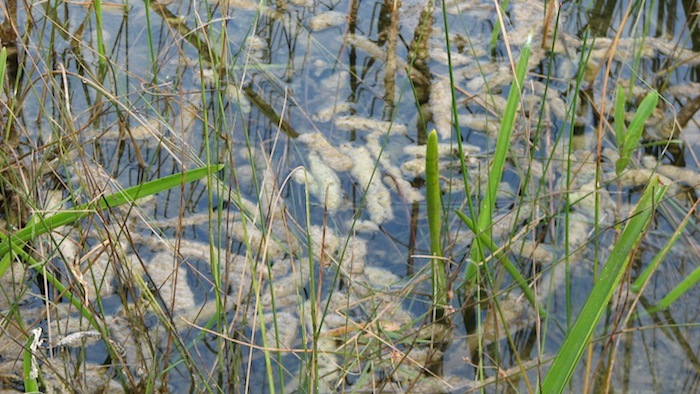 [P3] Poor water quality is turning saw grass to cattail swamp over thousands of acres. Instead of the Caribbean Pine or Dade County pine on the highest rock ridges of the glades, the suburbs have introduced a pan equatorial, tropical flora from all over the world to adorn the native flora of south Florida. Some botanical critics warn that this transplanted flora is forming the basis of a future "homogecene period" where a few dominant species of plants cause a consequent decline in animals. As the saw palmettos retreated in the face of Philippine and Pacific palms the decline in animals and especially birdlife became apparent. Residential growth adversely affected the deer populations and particularly a variety in the Florida keys. 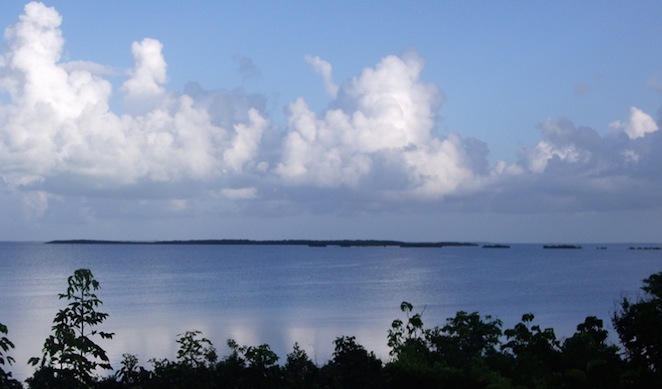 Once included in an early version of the Everglades National Park, Florida Bay shore along the Florida Keys was originally meant to be protected. Construction of the overseas highway and the aqueduct to the naval base assured that the density of population in the Florida Keys was poised to go from absence of people to excessively destructive densities of people in fifty years. Like the glades the keys emerge as a case study of the consequences of population growth. [P13 page 172] Key deer are a subspecies of the mainland white tailed deer described by Douglas as "The small brown Florida deer step neatly at the edge of pine forests like these." [P14] Because animals depend on vegetation, the decline in variety of one kingdom leads to the consequent decline in the dependent animal kingdom. Long gone in the three booms following World War 1 are "The live oaks," once comprising "that great Miami hammock, the largest tropical jungle on the North American mainland, which spread south of the Miami River like a dark cloud along that crumbling, spring-fed ledge of rock." [P27 pages 174-75] As if they were obstacles in the way of progress the oaks became furniture and finished paneling in the myriad houses built after the numerous hurricanes of the 1920s and 1930s. Amidst these forests were a diverse array of ferns with "their roots deep in the rotting limestone shelves among wet potholes green-shadowed with the richest fern life in the world." [P27 page 175] Thus Douglas, in a few pages, fills the everglades with the array of life akin to some relic of warmer, swamp dominated times when insects, reptiles and mammals commingled prior to the appearance of humankind. Every thing in Florida adjusts to the water in a contest for space that defies the notion that nature is a kindly parent. "About the live oaks is waged the central drama of all this jungle, the silent, fighting creeping struggle for sunlight of the strangler fig." This tree the Ficus aurea is dropped as a seed by feeding birds in the treetops of oak forests and grows to eventually surround the trunk -- thus squeezing the nutrients and life out of the live oak -- in this desperate struggle for sunlight, water and space to grow. [P28] In this struggle of the strangler fig and the live oak is a homily about conditions for life and human society throughout this remodeled landscape. 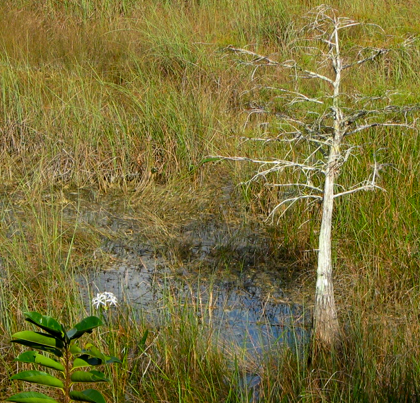 In adjusting to immersion in this baptismal water that jets out of springs in the porous limerock, Florida's vegetation changes according the appearance and evaporation of water. "The water oaks grow taller and more regular than the live oaks.... Both crowd down to the glossy water and make landscapes like old dim pictures where the deer came down delicately and the cows stand, to drink among their own reflections." [P34, page 176] Douglas knew that water shortages would occur as the Atlantic ridge was bulldozed to accommodate six million people in the ensuing sixty years. The cypress trees of Florida characterize a last refuge today for the endangered panther in the Big Cypress Swamp preserve added to the glades in the 1970s to assist in restoring the fresh water flow to ailing Florida Bay. Douglas combines the ambivalent values of this tree that led to its widespread demise in all but the wettest and protected areas of Florida. She explains that "It is a fine timber tree..., it is most strangely beautiful." [P37 page 177] Like all beautiful, natural things that people desire, the cypress was logged heavily, before the protection was afforded remnant stands. Strangely haunting vegetation was described by Douglas as coniferous forests supported by "the rootlike extension into the air, like dead stumps, called cypress knees, which are thought to aerate the mudbound roots." Visual distortion furthers a mood of strange nocturnal sounds in Douglas writings where "The great barred owls hoot far off in the nights..." [P42] She describes hunts that inevitably end in panther deaths because these cats "never to be tamed, are shot." [P43] Here on this predatory frontier is another story by which she conveys the strangeness of the glades even before they were dismembered from drainage, canals, pumps and levees. In making land out of water humans made a relentless dilemma were once there had been adaptive response. The protection of this watery realm of the Everglades was not effectively secured by the creation of the National Park because of the commercial interference with the flow of water into the park. From the 1920s with the construction of levees around Lake Okeechobee, to the building of US highway 40 across the glades from Naples to Miami in 1930s, the race between developmental erosion of ecological values and the lure of real estate left the Everglades Park lands behind in the proverbial dust. Until the late 1950s few save Douglas and her environmentally enlightened circle of naturalists and birders considered the serious consequences of this loss of shorelines, wetlands, and canals that robbed this National Park of its life sustaining water. Because the park protected 830 species their lives hung by a thread of life sustaining water. In 1843, a St. Augustine lawyer had convinced Congress of the feasibility of draining the everglades, long afterward, right after World War Two the dream became a reality due to extensive flooding during a wet year in 1947. The world heritage importance of the Everglades makes this international treasure more than the sum of its ecologically functioning parts. Twelve distinct habitats comprise the vegetational associations in the region sprawling across the boundaries of the park, of the land, of even the water itself. 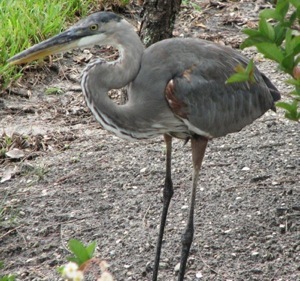 For example, the park embodies 800 square miles of Florida Bay as protected areas of mangrove or shell islands the home of wading birds, sea birds and an occasional pelagic or intercontinental migrating birds or turtles. 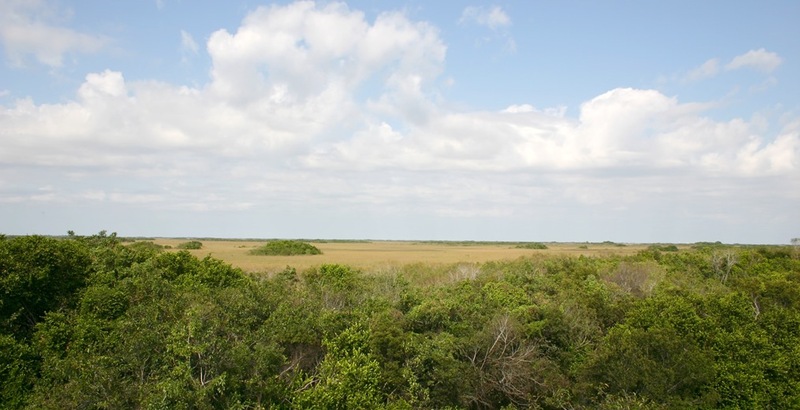 Despite the region's rarity and isolation and due to upland interference with run-off, the Everglades National Park is considered by ecologist Mark Harwell as the most endangered in the country. Polluted water, fragmented habitats, the unseasonable pumping and then dumping of water has killed the everglades as a fountain and Florida Bay as the nursery of sea life in south Florida. Lobsters, tarpon, crabs and shrimp are just some of the fisheries damaged by the fouling of the Everglades. Awareness of the critical situation moved a coalition of environmental groups to action. Together they encouraged the National Park Service to file court action against the State. Subject to polluted water and as such run-off was permitted by a State water agency, the federal government sued the State water entity (South Florida Water Management District) who was legally responsible for the allocation, flow and disposal of polluted water in the region feeding the Everglades National Park. To increase the pressure on a state legislature that lacked the conviction and vision to restore the everglades, Florida environmental organizations promoted an amendment to the State constitution with far reaching implications since it embodies in law the notion that those who pollute should pay to clean up their pollution. Nearly half a decade after the amendment passed overwhelmingly, it has yet to be implemented, let alone enforced. Consequently the tax payers of the nation are paying to restore the region, not those who directly pollute the "river of grass." As the focus of ecological conservation the Everglades today is the litmus test case of our commitment to restoring the environment in order to revive the economy. For without sufficient water, sugar, tomatoes, golf courses and swimming pools alike will dry up in the race to covet the remaining fresh water that inheres in the limestone rock. Wildlife must be protected in water allocation unless we win the race for water only to lose the wading birds who are the biotic souls of these wetlands. The Everglades socially speaking refers to the National Park, while the greater everglades ecosystem refers to the far larger region dominated by the river of grass. The word used to refer to the fragmented system now in need of repair is glades. Marjory Stoneman Douglas, River of Grass, (1947). She wrote that "the Indians found their first source of life.... ferny green cycads, plants older than this rock, with yellow and orange cones for flowers and great thick roots. This is the "coontie' of the oldest Indian legend." [P18 page 173] quoted in Melisssa Walker, Reading the Environment, (NYC: Norton, 1996) pp. 170-178. "and ferns innumerable." leather ferns, "maidenhair and Boston ferns and brackens"
Harwell, Mark, "Ecosystem Management of South Florida," Bioscience, 47:8, September, 1997. pp.499-512. p. 502. The list is long, but among the outstanding groups are "Friends of the Everglades," "Save Our Everglades,"
Florida and National Audubon Societies, Sierra Club, World Wildlife Fund, Isaac Walton League, and the Natural Resources Defense Council.